I was born in Chile, and at the age of ten I moved with my family to the North of Chile where my father bought me my first bicycle. My first bicycle was a Bianchi bicycle that I enjoyed for many years to come and would start my mechanic and racing career. Thanks to that bicycle I also met a lot of friends who had also been bitten by the cycling world bug. We would race throughout the small neighborhood, while also expanding our boundaries and meeting other cyclists that had bicycle shop contacts. All of a sudden we had been invited to an open race for children, the race was around a local park. During this first race, I learned how to draft and I got third place. The next day we rode to the local bicycle shop and I let them know how I had done, a local pro cyclist, Marcos Zepeda, gave me his jersey. This got me motivated and excited to continue racing. While I continued to race, at the age of 16, I found out that there would be a race to qualify for the Judejut. 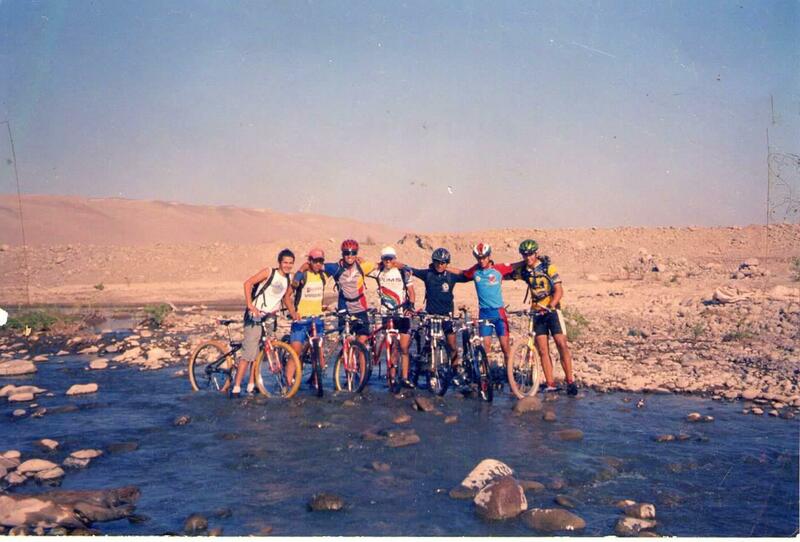 Judejut is a international south american mountain bike championship, between Chile, Argentina, Peru and Bolivia. At age 16 I was able to qualify for the championship, this race took place in La Serena, Chile. The following year, I also qualified and I raced in Catamarca, Argentina. During this time that I was racing, I also continued to maintain and upgrade my own bicycle and my friends bicycles. We received sponsorship from a Bianchi dealer. When I was 16, I received a Schwinn Homegrown bicycle that I used to race the Judejut in La Serena. That bicycle, I still have to this day. At the age of 18, my parents had decided to move to the United States, we moved to Utah in July of 2003. My first job in the United States was at Red Rock Bicycles, in St. George. Red Rock Bicycles gave me the experience working with more delicate, advanced and sophisticated bicycles. During this time period, I was introduced to carbon fiber bicycles and learned how to work on them. I also learned how to work on shocks, suspensions and how to overhaul such things. My first race in the United States was in 2005, it was a road race at a local event. That same year I found the Intermountain Cup and began doing those races. In 2008 I completed my first endurance race, 24 in The Old Pueblo. I continued to race and work at the shop for many years. Throughout the years I have worked at multiple bicycle shops that have greatly increased my knowledge and passion for bicycles, while also understanding the needs of customers who are just starting to ride or who are professional riders. My dream has always been to have my own shop so I can serve customers and teach them the knowledge that I have. I am looking forward to meeting new people and see where the cycling industry and technology takes us.